How to be paid? Learn how to deal with dishonest outsourcers and recover your money! 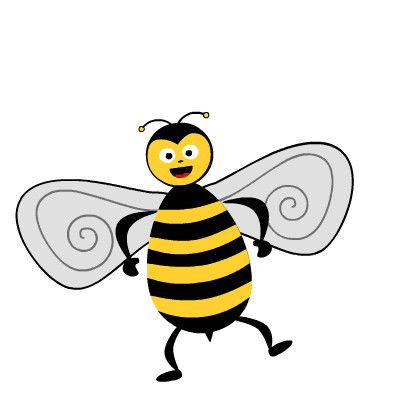 Our BEE will help you out! Do you work in translation industry? Have you been commissioned a job by a translation agency/translation company/direct client? The project was completed, you delivered quality job on time, but the outsourcer pretends to be dead? Let's be clear: if the outsourcer doesn't want to pay (regardless of the amount) you have a big problem! If the answer to the above questions is YES, then you are in the right place! This section will help you deal with dishonest outsourcers and make them pay you in the speed of light! ◆ How do I recognize a dishonest outsourcer? / What should I do to not get cheated? → Request a Purchase Order (PO) for EVERY commissioned job and do not start the job before receiving it. If the outsourcer refuses to issue this type of document DO NOT work with him! A properly prepared document should contain: the job title, the quantity (in words / pages / characters), the due amount, order date, deadline date, outsourcer's address and his signature. → Check the outsourcer's reputation by conducting your own investigation. Do Internet research to find out if your client does not appear on the black list of non-paying outsourcers. The most efficient way is typing the outsourcer's name in the Proz.com Blue Board section (which remains the most powerful source) or simply typing the outsourcer's name into your search engine and consulting all reviews appearing on the Internet. → Check the outsourcer's contact information for reliable email addresses, telephone numbers, VAT number (TAX ID) etc. → Be wary of large test translations. Most of dishonest outsourcers make you believe that after making a large, free translation you will be given a large project. Remember that more often translation agencies request "test translations" to use translators as free translation tools and then make them believe that their translation was not good enough to give them a project they were applying for! Therefore, remember that a reasonable test translation should not exceed 300 words. ◆ How do I recognize that the outsourcer doesn't want to pay? Behavior of a dishonest outsourcer can be easily recognized. The outsourcer that doesn't want to pay often does not reply to any payment reminder. After delivering the job, you have no more direct contact with him. He doesn't reply to your emails and telephones and he pretends to be dead. Some of them reply saying that the payment will be delayed until they receive the payment from their clients. Do not accept this explanation. You delivered your job and you need to be paid no matter what. You don't need to bother about agreement between your outsourcer and your outsourcer's outsourcer! The agreement is between you and your outsourcer and your outsourcer has to respect your payment terms. Another trick they use is saying that they did not receive your invoice so always ask for the receipt confirmation of your invoice. ◆ Effective troubleshooting: which steps can I take to recover my money? The higher amount they owe you, the harder would be to recover your money. Anyway, hard doesn't mean impossible. We know how to force (in a gentle way) your client to pay you. Please note that the process doesn't involve court proceedings. You can do it online from the comfort of your own home. The only thing you need to do is to send 1 email! Yes, the power of words will surprise you! The email text will be at your disposal after you purchase TTMEM.com full membership. The only thing you need to do is to adjust the email to your needs (putting your name, client's company name, the date, the amount due), copy and send the email. ◆ Why should I pay for this trick? I want to recover and not lose more money. The service is paid as we want to keep this trick secret/available only for people who really need it. Making the email free for everyone would make lose its power, be less efficient and easily reachable also by dishonest outsourcers! Hope you understand that this trick cannot be within everyone's reach. ◆ How can I be sure that it works? You have our word. This method has never failed us yet (two members of our Staff are freelance translators)! Most of users who sent this email managed to get paid within 24 hours after a long time they have been waiting for their money. Please remember that it is quite a heavy method so before using it, make sure that the client really doesn't want to pay you. If there is no response to your reminders you can't wait longer - it's time to press the red button, don't you think?